Beacon Park Boats Ltd01873 858277work NarrowboatBeacon Park Boats is our family business, offering 5-star boating holidays on the Monmouthshire & Brecon Canal in the beautiful Brecon Beacons National Park in Wales. It’s the fast way to slow down. Cruise at just 2½ miles an hour past magnificent mountains and pretty canalside villages, get up close to wildlife, and, most importantly, find time to relax with family and friends. We design and build our own narrowboats: expect luxurious beds, exquisite shower rooms, high-spec kitchens, central heating, wood-burning stoves and bow thrusters for easy boat handling. Beacon Park Boats is perfectly placed at the mid-point of the Monmouthshire & Brecon canal. A round trip to Brecon will fill a 3 or 4-night break, while a week gives you time to explore the whole canal and several of the pretty towns and villages spread along its route. Beacon Park Boats is our family business, offering 5-star boating holidays on the Monmouthshire & Brecon Canal in the beautiful Brecon Beacons National Park in Wales. It’s the fast way to slow down. Cruise at just 2½ miles an hour past magnificent mountains and pretty canalside villages, get up close to wildlife, and, most importantly, find time to relax with family and friends. We design and build our own narrowboats: expect luxurious beds, exquisite shower rooms, high-spec kitchens, central heating, wood-burning stoves and bow thrusters for easy boat handling. 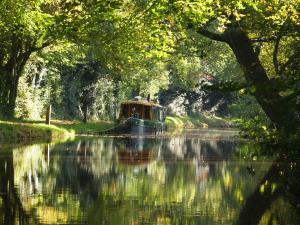 Beacon Park Boats is based on the Monmouthshire and Brecon Canal at Llangattock, near Crickhowell in South Wales, in the Brecon Beacons National Park and close to Blaenavon World Heritage Site. Abergavenny station is just 20 minutes away by taxi. It’s on the main line with trains from Manchester, North Wales, South Wales and West Wales stopping here. If travelling from London Paddington, take a train to Newport and change for Abergavenny. Our nearest airports are Birmingham, Bristol, Cardiff and East Midlands, and all have major car hire companies on site. If flying into London Heathrow or London Gatwick you can catch the train to us or hire a car.